I made a patchwork piece up of plus signs, it measures approx 10 by 5 inches, I then sandwiched it with wadding and backing. 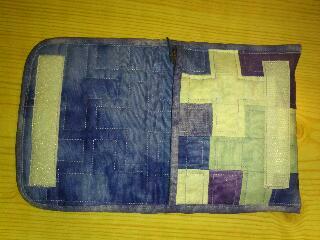 I quilted each plus sign. 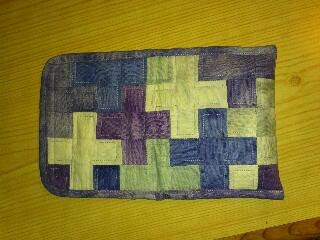 I then folded it into three and put some velcro as the closure. 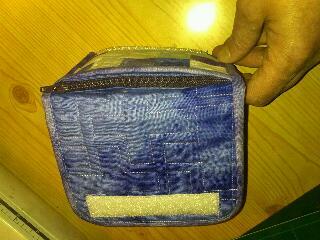 I then made a double sided piece of fabric and attached a zip to it so it was like an open sided zip pocket. 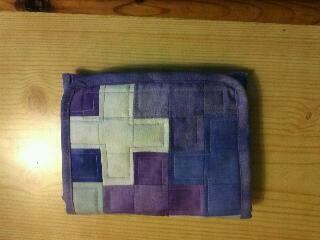 Then I put that inside two parts of the three folded bits and sewed it in place and then put binding all around it. The stresses of owning pets.